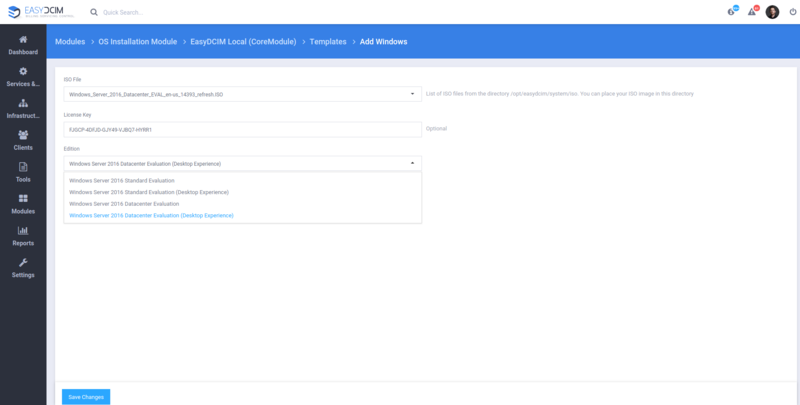 As from the 1.5.0 version, EasyDCIM allows admins to install any of the supported operating systems on existing EasyDCIM servers in a totally automated manner – from the moment of selecting an installation template to running post-installation scripts. Yeah, saying that will never fail to give us a thrill. But that is not enough reason for us to slow down the tempo and just slob around while there is still so much to be done! Talking about progress – we are putting final touches to the 1.5.1 version which will extend the range of supported OS systems to include the long asked-for Windows Servers. Care for a little teaser? But let’s go back to basics for a moment and focus on what ‘unattended installation’ actually means. Simply put, it is an automated technology used to install or upgrade an operating system with minimal user intervention. Unattended installation is usually employed while introducing a new system on a large scale, when the manual installation of an operating system on individual servers by administrators would be too money- and time-consuming. Fewer installation errors. 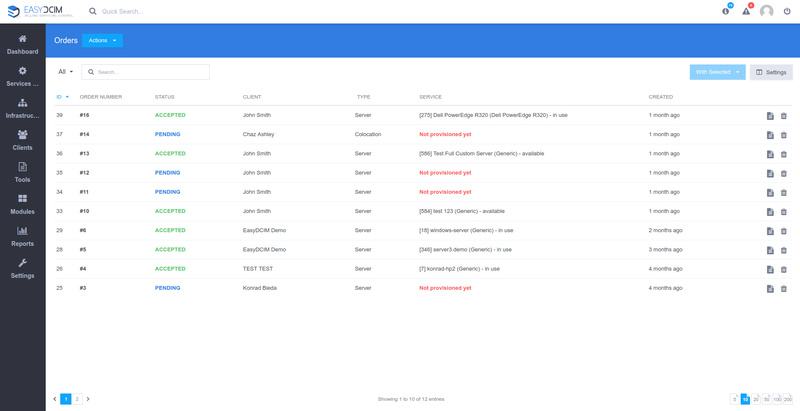 Since unattended installation makes use of a response file to install and configure operating systems, the interaction between administrators and technicians during the configuration process is reduced to minimum. Therefore, the likelihood that any erroneous data is entered during the configuration stage is proportionally smaller. Greater consistency during deployment. By using the same response file to install and configure every operating system, you gain the assurance that all servers in your data center are configured in the same exact way. Shorter installation time. During interactive configuration, the installation program demands from administrators or technicians to enter valid information at almost every step of the process. The unattended installation, in comparison, simply reads the configuration settings from the response file, saving you the whole hassle. And, of course, time. Lower maintenance costs. By minimizing errors during the configuration process, increasing server consistency and reducing the time required to configure the server, you can significantly diminish the overall cost related to technical support in the data center. The built-in operating system installer in EasyDCIM relies on installation templates. Each system has its own template which serves to automatically install the operating system on a dedicated server. All necessary installation files for the systems from the Windows family are usually compressed in ISO files on the basis of which EasyDCIM will automatically set up a system template for the selected Windows edition. Unattended OS installation of systems from the Windows family is exactly the kind of convenience that most frequently comes up on a wish list of every data center admin. And soon it will be also an integral part of the EasyDCIM system! Stay tuned for this momentous 1.5.1 release and be sure to swing by the changelog as soon as it arrives! And in the meantime, feel doubly welcome to get the best out of our Anniversary Promotion crowning 3 wonderful years of our nonstop advance. A 30% discount on every pricing plan for 3 months or a personalized deal suited to your wants are still within your grasp!